Frogs, fish, penguins… choose this popular theme and get a variety of sticker shapes and sizes. 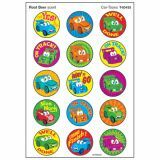 Includes superSpots®, superShapes, and Applause STICKERS®. Acid free, nontoxic, and safe for photos. 738 stickers, 5¾" x 9½" pad. 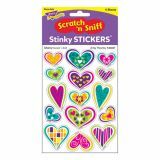 Fun sticker shapes with sweet scents! Collect, trade, decorate, and more. Scratch them for a burst of fragrance. Acid free, nontoxic, and photo safe. 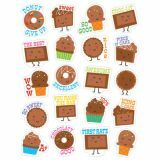 15 designs, 60 stickers per pack. 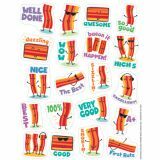 60 stickers per pack. Tropical scent. 15 designs. 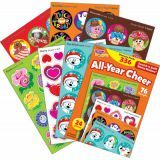 Each package contains 80 self-adhesive scented stickers per package. Each sticker measures about 1" in diameter. 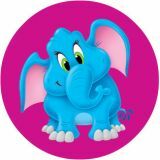 Fun and colorful Eureka Scented Stickers with a long-lasting smell will add an extra touch to graded assignments, classroom crafts and rewards! For best results, scratch stickers to release scent. 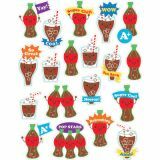 60 stickers per pack. Orchard scent. 3 designs. 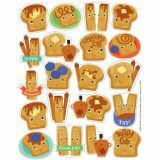 60 stickers per pack. Rootbeer scent. 15 designs. Label your daily planner with organizational stickers. 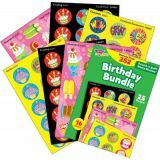 This pack includes 6 sheets of 42 die-cut stickers for a total of 252 stickers. Organize your planner in style with Carson-Dellosa's planner accents! 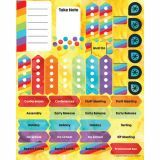 Use these organizational stickers to add a cheerful touch to planners, to-do lists, notes, and calendars. 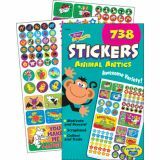 Shape stickers are acid-free and lignin-free. Look for the coordinating teacher planner to create a cohesive look!